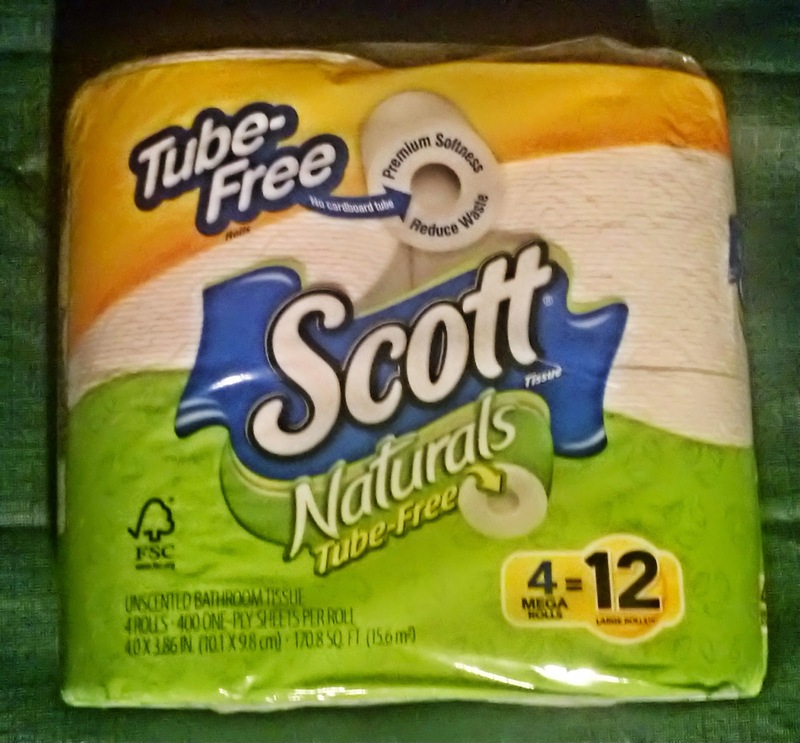 Crowdtap introduced me to a very simple way to go greener...Scott Naturals Tube-Free Bath Tissue. Why are the tubes a big deal? Every year, 17 million of them are thrown away. Nobody can make that many crafts. Enough to fill up the Empire State Building...TWICE. This helps with that....unless you really feel the urge to build a TP roll building. Pretty cool, eh? I know what you're thinking...it can't roll just as well as the tubed ones. Well, it does. Here it is in my bathroom. It rolls nice and smoothly. In addition, I tried using it as tissues by leaving it on my desk. Even without the center spindle in, the roll holds its shape, so there's no worries about storage. Oh, and it stays secure all the way to the last bit...my toddler was only too happy to help me test that. So if you're looking for an easy way to improve your personal carbon imprint as well as maintain your personal hygiene, go for Scott Naturals Tube-Free Bath Tissue! I received product from Crowdtap for testing and review purposes. My opinions and slightly worn bathroom decor are my own.